Home Arts & Games Editors pick News trending Destiny 2!! Review and FAQ answering!! Destiny 2!! Review and FAQ answering!! Yes, you’ll still be shooting aliens throughout the solar system. But a lot has changed for the sequel to one of the most popular yet polarizing games in recent memory, and we the SYL team is here to help answer all your burning questions about how Destiny 2 works. WHEN AND WHERE CAN I PLAY DESTINY 2? Destiny 2 launches Sept. 6, 2017, on PlayStation 4 and Xbox One. The Windows PC version won’t be released until Oct. 24, and it will be available exclusively through the Blizzard app, aka Battle.net. OK, BUT WHEN EXACTLY CAN I PLAY IT? Bungie and publisher Activision are doing a rolling midnight launch around the globe by country (and in some cases, region). Generally, you’ll be able to start playing once the clock strikes midnight on launch day somewhere in your country. For instance, Destiny 2will go live for everybody in the U.S. at 12 a.m. EDT on Sept. 6 (9 a.m. PDT on Sept. 5). We don’t yet have details on the rollout of the PC version. WHERE SHOULD I PLAY IT, THOUGH? That’s a decision you’ll have to make for yourself. But you should know that once again, Activision has partnered with Sony for a bunch of PlayStation-exclusive content. The items for Destiny 2 will remain exclusive to the PS4 version of the game until “at least fall 2018.” The other versions of the game will miss out on a number of items for a year (or longer): a strike, Lake of Shadows, which means there will be six strikes on PS4 and five on PC and Xbox One a set of legendary armor for each class: Terra Concord (Titan), Tesseract Trace IV (Warlock), Icarus Drifter (Hunter) a ship, City Apex an exotic sniper rifle, Borealis a Crucible map, Retribution THE PC VERSION WILL BE THE BEST-LOOKING AND BEST-PERFORMING OPTION That may be enough to sway the decision of anybody who owns both consoles, although you should also consider where the majority of your friends play Destiny. The exclusive contract doesn’t affect launch timing — Destiny 2’s expansions will be released simultaneously across all three platforms. Destiny 2 isn’t launching on PC for more than seven weeks after the console debut. But the PC version will support all kinds of advanced visual features like 4K resolution, frame rates up to 144 Hz and 21:9 “ultrawide” monitors. And last week’s PC beta showed off a well-optimized game, with solid performance even on older hardware. It seems like a sure bet that the PC version of Destiny 2 will be the best-looking and best-performing option — if you’re willing to wait. TELL ME MORE ABOUT DESTINY 2’S EXPANSIONS. So far, Activision and Bungie have announced two planned expansions for Destiny 2. 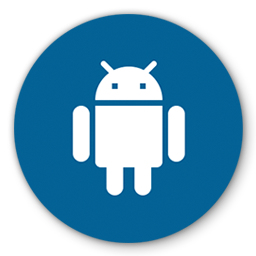 The companies have not given names or release windows for the add-ons, although a recent report indicated that the first one will be called The Curse of Osiris and will launch in December 2017. An Expansion Pass that will grant access to both expansions costs $34.99. The pricing suggests that once again, the add-ons will cost $19.99 individually. WHAT IF I PRE-ORDER? WHAT BONUSES DO I GET? Destiny 2 costs $59.99 on its own, and $89.99 bundled with the Expansion Pass (a $5 savings). There are three editions of the game that are more expensive, and all of them also come with the Expansion Pass. 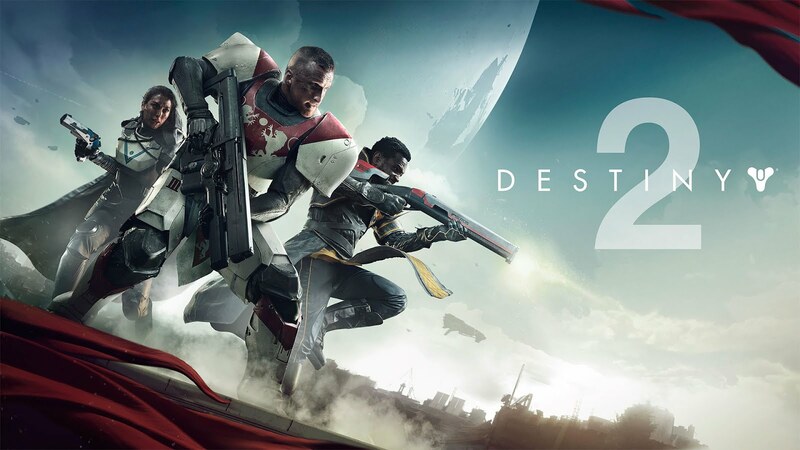 Destiny 2’s Digital Deluxe Edition ($99.99) includes three digital items: a legendary sword, a legendary emote and a Cabal Empire-themed emblem. A physical Limited Edition is available for the same price, exclusively at GameStop. That package contains the Digital Deluxe Edition’s items and comes in a Steelbook case inside a Cabal-themed box along with four physical items. There’s also a $249.99 Collector’s Edition that comes with two exclusive physical goodies. All Destiny 2 pre-order customers, regardless of platform, will receive an exotic weapon: a trace rifle named Coldheart. (It is exclusive to pre-orders until Dec. 5, 2017.) Pre-orders at Battle.net, the PlayStation Store or the Xbox Games Store also come with the Salute emote and Kill-Tracker Ghost. PlayStation Store pre-order customers will receive a dynamic theme for the PS4 dashboard as well. And individual retailers may throw in either the emote or the Ghost. Of course, you can only pre-order Destiny 2 until midnight on Sept. 6. LET’S GET INTO THE GAME. HOW MANY PLANETS ARE THERE? Destiny 2 will feature four “destinations,” just like the original Destiny did at launch, and the two games share one planet: Earth. To be clear, players will be exploring a different region of Earth than the one that was available in Destiny: Instead of the steppes of Old Russia, Destiny 2 will send Guardians to the forested European Dead Zone. The sequel’s other three locations are places in the solar system that we haven’t visited before, and none of them are planets: Titan, a moon of Saturn; Nessus, a planetoid; and Io, a moon of Jupiter. (The latter is pronounced EYE-oh, in case you were wondering.) None of the locations from Destiny will return for the sequel. DO I STILL HAVE TO GO TO ORBIT BETWEEN, ER, DESTINATIONS? Nope! Destiny 2’s Director — the screen in which you navigate between destinations and other activities — allows you to go straight from one place to another. And when you click on individual worlds, you’ll get a map for that world that is also accessible while you’re playing. AN IN-GAME MAP? REVOLUTIONARY! It’s pretty neat. The map also enables fast travel. You start with just one spawn point for an entire destination, but you’ll unlock other landing zones as you play. Instead of flying your Sparrow all the way to the other side of the European Dead Zone, you’ll be able to teleport there with a brief loading screen. But there’s something you should know about Sparrows in Destiny 2. THAT SOUNDS OMINOUS. WHAT SHOULD I KNOW ABOUT SPARROWS? Sparrows were commonplace in Destiny, a means of conveyance that you received in an early story mission. You could buy upgraded ones in the Tower for a reasonable sum. That’s not the case in Destiny 2. We still didn’t have a Sparrow after nearly 20 hours with the game, including playing through the majority of the campaign. You don’t get one in the story missions we’ve played, and so far, none of the vendors we’ve met sell them. Of course, this could change later in the game. Bungie’s developers told us that this is on purpose, that they didn’t want players to zoom past all the cool stuff in Destiny 2’s environment. But take it from us: It’s really not fun to have to run everywhere — especially if you’re playing with friends who happen to have had Sparrows drop for them. WHAT ARE THE NEW CLASSES AND SUBCLASSES? The classes available in Destiny aren’t changing for the sequel: Hunter, Titan and Warlock. Destiny 2 will offer three new subclasses: the Sentinel Titan, Dawnblade Warlock and Arcstrider Hunter. Those options are replacing some fan favorites from the original game: the Defender Titan, Sunsinger Warlock and Bladedancer Hunter. A total of three subclasses will be available for each class in Destiny 2. Players will start with the sequel’s new ones, and they’ll have to unlock the other two for each class. 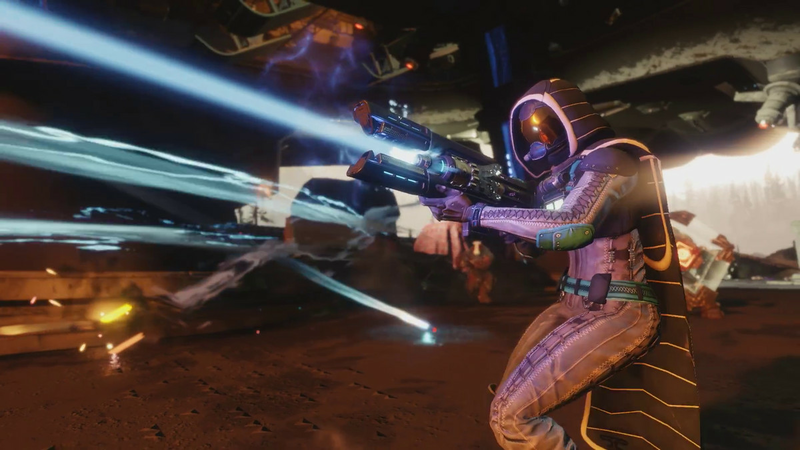 In addition to Destiny’s original subclasses — Striker Titan, Voidwalker Warlock and Gunslinger Hunter — players will be able to gain access to the three that debuted in The Taken King: Sunbreaker Titan, Stormcaller Warlock and Nightstalker Hunter. AWESOME! HOW DO I UNLOCK THE ADDITIONAL SUBCLASSES? 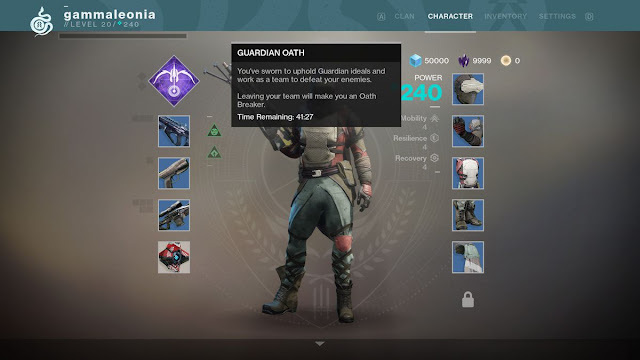 It’s not clear yet what triggers this, but at seemingly random points, you’ll get a Titan, Warlock or Hunter “relic” as a loot drop, along with a notification letting you know that you’ve found “an object filled with lost power.” Receiving that subclass artifact will kick off a quest chain that leads to unlocking a subclass. HOW DO I UPGRADE MY SUBCLASSES? Destiny 2’s subclasses still have skill trees, but they’re laid out differently. Each one lets you choose between two class abilities, as well as two groups of common abilities: jumps and grenades. There are also two groups of four perks to choose from. When you rank up, you’ll receive a skill point, which can unlock a new node in a subclass’ skill tree. SIMPLE ENOUGH. HOW DOES MY CHARACTER’S LIGHT LEVEL WORK? Let’s take a step back. Just like in the post-Taken King version of Destiny, your Guardian’s level — which is based on the experience points you earn as you play — is separate from their Light, which is a weighted average of the stats on all of their gear. In Destiny 2, “Light” is known as “power.” I HEAR THAT WEAPONS ARE ORGANIZED DIFFERENTLY NOW. WHAT’S THE DEAL? In Destiny, weapons were grouped into three slots: primary (auto rifles, hand cannons, etc. ), special (sniper rifles, shotguns, etc.) and heavy (machine guns, swords, etc.). Those classifications were pretty rigid, but they’ve disappeared in Destiny 2. Now, weapons will be split up based on the type and level of damage they do — the three slots are kinetic weapons, energy weapons and power weapons. Grenade launchers (a new weapon type) and rocket launchers will be restricted to the power slot. But you’ll also see firearms like shotguns and sniper rifles there. The guns that were traditionally primary weapons in Destiny can live in either of the first two slots, so you can carry around two “primary” guns like scout rifles. Kinetic weapons can’t do elemental damage, but they will be more powerful than energy weapons against unshielded enemies. And although all energy weapons will fare better against shielded foes than kinetic weapons, you’ll want to match an energy weapon’s elemental damage type to the shield if you can — not only will the weapon burn down the shield more quickly, but the shield will pop with an explosion that stuns the enemy in question and hurts other baddies in the vicinity. CAN YOU MODIFY WEAPONS? Yup! So far, we’re only aware of one weapon mod: the ability to change an energy weapon’s elemental damage type. Yes, you’ll be able to turn an arc damage weapon into one that does solar or void damage. WHAT ABOUT ARMOR? In Destiny 2, the armor your Guardian is wearing is now tied to three important character statistics: mobility, recovery and resilience. These qualities were known in the original Destiny as agility, recovery and armor, respectively. They were determined primarily by your subclass layout, and they affected the cooldown timers on your super attack, grenade and melee attack. 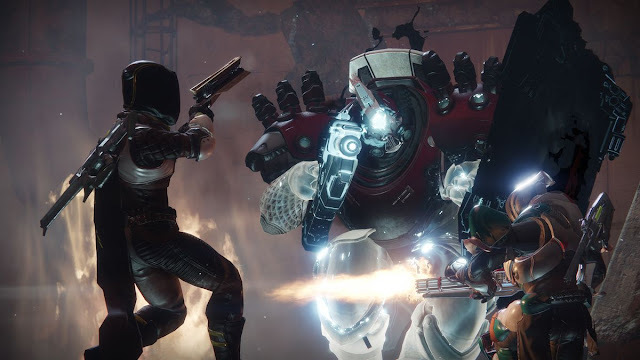 The cooldowns are now affected by armor mods for Destiny 2, and the game offers more granular control for the aforementioned stats, which can now go from zero to 10. Each piece of armor now has its own ratings for mobility, recovery and resilience, and the game will add up the values across all of your armor to figure out your Guardian’s abilities. In addition to character stats and ability cooldowns, armor mods can also affect weapon stats like reload speed and handling. OK, SO WHAT ARE THE GAME’S POWER AND LEVEL CAPS? Destiny 2’s level cap is 20 at launch. Bungie has not revealed the power cap, although recent leaks from Prima’s official strategy guide indicate that it is 300. WHAT ABOUT XP AFTER LEVEL 20? You’ll still earn XP beyond level 20. Every time you “rank up,” you’ll receive a bright engram. WHAT THE HECK IS A BRIGHT ENGRAM? A bright engram is a special high-level loot bauble that’s new to Destiny 2. (The first game’s engrams — white, green, blue, purple and yellow, in increasing order of rarity — are returning.) The normal cryptarchs can’t do anything with it; you have to bring it to Tess Everis, the representative for the Eververse Trading Company. In addition to earning bright engrams by ranking up beyond level 20, you’ll receive them when you rank up your faction rep with destination nonplayer characters and your allies at the Farm. You can also buy bright engrams with Silver, Destiny’s real-money currency. Note that your character must be at level 20 to earn and decrypt bright engrams. WHAT CAN YOU GET IN A BRIGHT ENGRAM? Bright engrams can contain a wide variety of special items: exotic sparrows and emotes, skins for exotic weapons, mods for weapons and armor pieces, Bright Dust and more. WHAT THE HECK IS BRIGHT DUST? Bright Dust is a currency that is obtained directly from bright engrams, or from dismantling certain items found within them. It can be used to buy items from Eververse. It is not possible to buy Bright Dust, either with real money or in-game currency. Your Bright Dust balance is shared between characters on your account. WHAT KINDS OF OTHER CURRENCY ARE THERE? Glimmer, the basic monetary unit of the Destiny universe, is back in Destiny 2 — and thankfully, there is no longer a cap of 25,000. (There may be a new, higher limit to the amount of Glimmer you can hold, but if there is, we don’t know what it is.) Silver, the in-game funds that you can buy with real money, is still the standard Eververse currency. In the endgame of Destiny 2, you’ll be dealing a lot with Legendary Shards. Obtained from dismantling legendary or exotic gear, Legendary Shards are used to buy gear from the mysterious vendor Xur. They’re also required in the infusion process for weapons and armor pieces. XUR, AGENT OF THE NINE, IS BACK?! Well, Bungie hasn’t confirmed Xur’s existence in Destiny 2 yet, but yes: He’s mentioned in the strategy guide that was leaked last week. But Xur, the mercurial weekend vendor from the original Destiny who sold exotic gear and other curios, no longer shows up in social spaces. Instead, he “randomly appears in a public sector in each of the four worlds, depending on planetary alignments and Bungie’s whim,” according to the guide. WHAT ARE THE SOCIAL SPACES IN DESTINY 2? 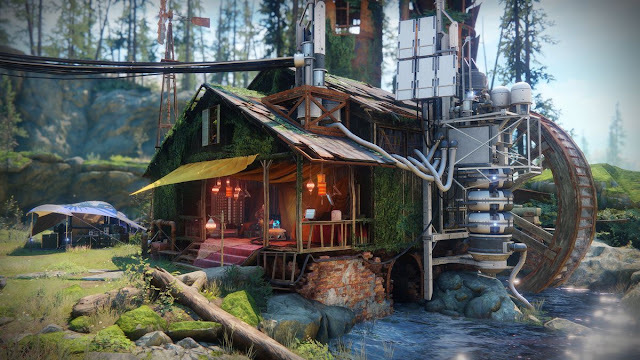 So far, Bungie has showed off the Farm, the makeshift headquarters that humanity sets up after the Cabal Red Legion’s invasion of Earth destroys the Tower. The Farm is located on the outskirts of the European Dead Zone. [Warning: The following contains major story spoilers for Destiny 2. If you don’t want to be spoiled, scroll straight past the following paragraph to the next question.] Steve Cotton, world design lead at Bungie, told Polygon at the Destiny 2 gameplay reveal event in May that there’s only one social area in the game. However, that appears to have been a white lie on Bungie’s part to keep a story development concealed — the leaked strategy guide mentions the Tower as a social space, which suggests that it will be unlocked near or after the end of the campaign. WHICH CHARACTERS WILL YOU RUN INTO IN THESE AREAS? The Farm is led by Suraya Hawthorne, who used to be a wanderer in the perilous lands beyond the Last City’s walls and now serves as a liaison between humanity and the Vanguard. Partway through the campaign, you’ll also unlock the three class Vanguards at the Farm: Cayde-6, Ikora Rey and Commander Zavala. Each of the four destinations has its own nonplayer character as a vendor: Devrim Kayon Earth, Sloane on Titan, Failsafe on Nessus and Asher Mir on Io. You’ll go to them to turn in the destination tokens that you earn while doing open-world activities. HOW DO THESE CHARACTERS HELP YOU? Your allies provide you with new activities and missions to do, and reward you with bright engrams when you complete enough of those exercises to rank up your reputation. Of course, they also sell weapons, armor and more. You’ll work with Cayde-6 on new Patrol missions, do Meditations (repeat story missions) for Ikora, and complete strikes and challenges for Zavala. Challenges essentially replace the bounties from Destiny. The dialogue from these characters in cutscenes and missions also provides plenty of backstory on Destiny’s universe. LET’S GET AWAY FROM THE STORY. WHAT ABOUT THE STRIKES? Strikes are one of the main post-campaign activities in Destiny, repeatable dungeon-style excursions that require close coordination from a team of three Guardians. 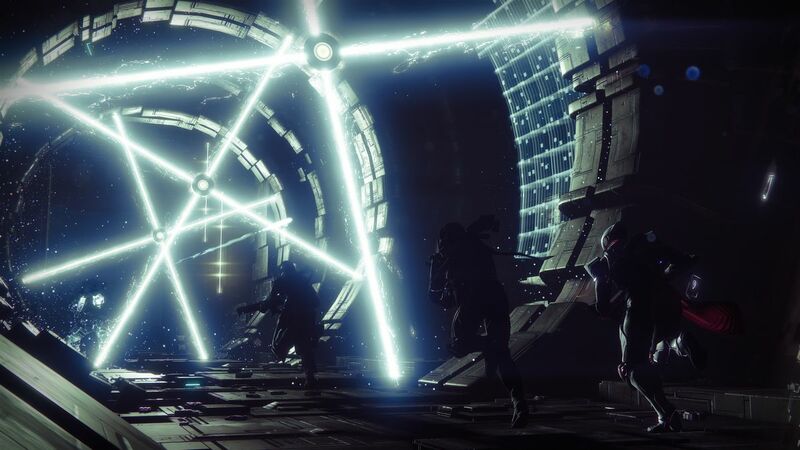 Just like its predecessor, Destiny 2 offers six strikes on PS4 and five on PC and Xbox One: The Arms Dealer Exodus Crash The Inverted Spire Lake of Shadows* The Pyramidion Savathun’s Song *This strike is exclusive to the PS4 version of Destiny 2 until at least fall 2018. WHAT ABOUT THE CRUCIBLE? Bungie decided to reduce the player count for competitive multiplayer matches from Destiny to Destiny 2. The limit was 12 players in the original game; in the sequel, all PvP matches — across all gametypes — are four-on-four affairs. HOW MANY CRUCIBLE MAPS ARE THERE? Destiny 2 contains nine Crucible maps on PS4, and eight on PC and Xbox One. Here’s the full list at this point: Altar of Flame: Caloris Basin, Mercury The Dead Cliffs: European Dead Zone, Earth Endless Vale: Arcadian Valley, Nessus The Fortress: European Dead Zone, Earth Javelin-4: Warsat Launch Facility, Io Legion’s Gulch: European Dead Zone, Earth Midtown: The Last City, Earth Retribution*: Upper Stratosphere, Mars Vostok: Felwinter Peak, Earth WHAT ARE THE AVAILABLE CRUCIBLE MODES? There are two new gametypes in Destiny 2’s Crucible, Countdown and Survival. The other three are returning from Destiny. Here’s the full list so far: Clash: Team deathmatch. Control: Teams fight for control of three capture points. Countdown: Defenders must try to kill their opponents before the attackers can set either of two charges — and must defuse a charge if it has been set. The first team to win six rounds takes the match. 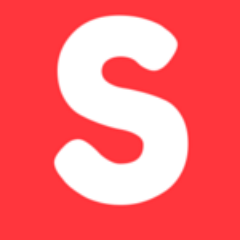 Supremacy: Team deathmatch with a twist. 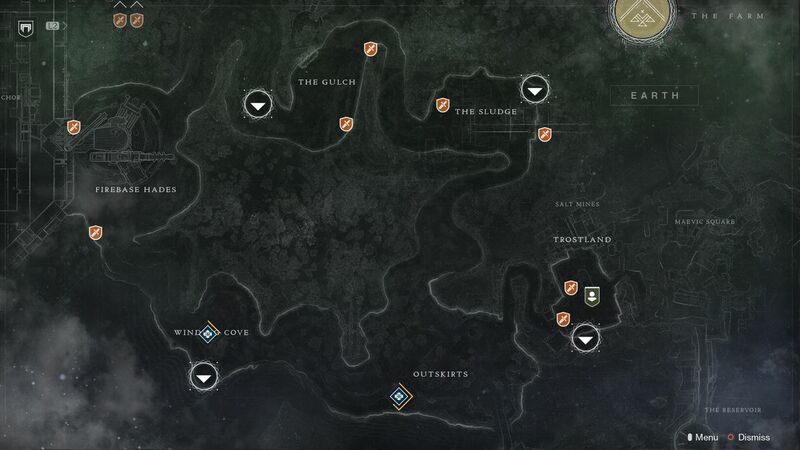 Fallen Guardians drop crests that must be collected to win. Survival: Elimination-style team deathmatch. Each team starts with a shared pool of eight lives, and when those lives are used up, the Guardians can’t respawn. Bungie has confirmed that both of Destiny’s limited-time Crucible events — Iron Banner and Trials of Osiris — will return for Destiny 2. Trials of Osiris will once again run only on weekends; the first one will begin at 1 p.m. ET on Friday, Sept. 15. THE ONLY THING THAT MATTERS IS THE RAID. WHEN CAN I PLAY IT? Bungie always keeps raid details close to the vest, but that’s particularly true for Destiny 2’s raid. Unlike with the original game’s raids, the studio won’t tease this one with a trailer. We don’t know what it’s called, where it takes place, who we’ll be fighting, or the recommended power level. We only know when it will go live: 1 p.m. ET on Wednesday, Sept. 13 — just over one week after Destiny 2 itself launches. WILL THERE BE MATCHMAKING NOW? No, Bungie isn’t changing its stance on matchmaking for high-level Destiny activities like raids and Nightfall strikes. Destiny 2 won’t automatically group you with other players for those tasks, because Bungie believes that they’re challenging enough to be frustrating if you’re playing with random people. Instead, Destiny 2 offers fully integrated support for clans, which should make it easier to find a raid-ready team — at least for people in clans. Bungie is also introducing a related feature it’s calling Guided Games. Using this setup, solo players will be able to browse through clans to find a group that is looking for an extra person (and is willing to show them the ropes in a friendly manner). HOW DOES PLAYING WITH FRIENDS WORK? Pretty much everything in Destiny is best enjoyed with other people. You’ll be able to play through Destiny 2’s campaign in a fireteam of up to three Guardians, just like in the original game. However, co-op play doesn’t unlock until after you finish the game’s third mission, “Spark.” (There are story reasons for this, but we’ll leave the spoilers out of it here.) The Crucible also becomes available at that point, allowing you to partake in competitive multiplayer matches. IS THERE A WEEKLY RESET? WHEN IS IT? Yes, just like in the original game, progression and rewards associated with certain activities will reset every week in Destiny 2: Weekly Milestones: Call to Arms Crucible Milestone, Destination Flashpoint Milestone, Clan XP Milestone, Weekly Challenges Milestone Meditations Eververse Bright Dust Inventory Clan XP rewards In addition, all progression and rewards for activity challenges and replayable Adventures will reset on a daily basis. (Once you’ve completed all the Adventures in the game, you’ll be able to replay up to four of them per day.) The daily reset time will change depending on whether daylight saving time is active. From March to November — during daylight saving time — the reset will occur at 2 a.m. PDT. From November to March, while daylight saving is not in effect, the reset will occur at 1 a.m. PST. The weekly reset will occur at those times every Tuesday. Yes, you’ll still be shooting aliens throughout the solar system. But a lot has changed for the sequel to one of the most popular yet polarizing games in recent memory, and we the SYL team is here to help answer all your burning questions about how Destiny 2 works.We’ll continue to update this FAQ with additional details as we learn them. WHEN AND WHERE CAN I PLAY DESTINY 2? Destiny 2 launches Sept. 6, 2017, on PlayStation 4 and Xbox One. The Windows PC version won’t be released until Oct. 24, and it will be available exclusively through the Blizzard app, aka Battle.net. OK, BUT WHEN EXACTLY CAN I PLAY IT? Bungie and publisher Activision are doing a rolling midnight launch around the globe by country (and in some cases, region). Generally, you’ll be able to start playing once the clock strikes midnight on launch day somewhere in your country. For instance, Destiny 2will go live for everybody in the U.S. at 12 a.m. EDT on Sept. 6 (9 a.m. PDT on Sept. 5). We don’t yet have details on the rollout of the PC version. WHERE SHOULD I PLAY IT, THOUGH? Destiny 2 isn’t launching on PC for more than seven weeks after the console debut. But the PC version will support all kinds of advanced visual features like 4K resolution, frame rates up to 144 Hz and 21:9 “ultrawide” monitors. And last week’s PC beta showed off a well-optimized game, with solid performance even on older hardware. It seems like a sure bet that the PC version of Destiny 2 will be the best-looking and best-performing option — if you’re willing to wait.That may be enough to sway the decision of anybody who owns both consoles, although you should also consider where the majority of your friends play Destiny. The exclusive contract doesn’t affect launch timing — Destiny 2’s expansions will be released simultaneously across all three platforms. TELL ME MORE ABOUT DESTINY 2’S EXPANSIONS. So far, Activision and Bungie have announced two planned expansions for Destiny 2. The companies have not given names or release windows for the add-ons, although a recent report indicated that the first one will be called The Curse of Osiris and will launch in December 2017. An Expansion Pass that will grant access to both expansions costs $34.99. The pricing suggests that once again, the add-ons will cost $19.99 individually. WHAT IF I PRE-ORDER? WHAT BONUSES DO I GET? Destiny 2 costs $59.99 on its own, and $89.99 bundled with the Expansion Pass (a $5 savings). There are three editions of the game that are more expensive, and all of them also come with the Expansion Pass. Destiny 2’s Digital Deluxe Edition ($99.99) includes three digital items: a legendary sword, a legendary emote and a Cabal Empire-themed emblem. A physical Limited Edition is available for the same price, exclusively at GameStop. That package contains the Digital Deluxe Edition’s items and comes in a Steelbook case inside a Cabal-themed box along with four physical items. There’s also a $249.99 Collector’s Edition that comes with two exclusive physical goodies. All Destiny 2 pre-order customers, regardless of platform, will receive an exotic weapon: a trace rifle named Coldheart. (It is exclusive to pre-orders until Dec. 5, 2017.) Pre-orders at Battle.net, the PlayStation Store or the Xbox Games Store also come with the Salute emote and Kill-Tracker Ghost. PlayStation Store pre-order customers will receive a dynamic theme for the PS4 dashboard as well. And individual retailers may throw in either the emote or the Ghost. Of course, you can only pre-order Destiny 2 until midnight on Sept. 6. LET’S GET INTO THE GAME. HOW MANY PLANETS ARE THERE? Destiny 2 will feature four “destinations,” just like the original Destiny did at launch, and the two games share one planet: Earth. None of the locations from Destiny will return for the sequel. DO I STILL HAVE TO GO TO ORBIT BETWEEN, ER, DESTINATIONS? Nope! Destiny 2’s Director — the screen in which you navigate between destinations and other activities — allows you to go straight from one place to another. And when you click on individual worlds, you’ll get a map for that world that is also accessible while you’re playing. It’s pretty neat. The map also enables fast travel. You start with just one spawn point for an entire destination, but you’ll unlock other landing zones as you play. Instead of flying your Sparrow all the way to the other side of the European Dead Zone, you’ll be able to teleport there with a brief loading screen. But there’s something you should know about Sparrows in Destiny 2. THAT SOUNDS OMINOUS. WHAT SHOULD I KNOW ABOUT SPARROWS? Sparrows were commonplace in Destiny, a means of conveyance that you received in an early story mission. You could buy upgraded ones in the Tower for a reasonable sum. That’s not the case in Destiny 2. We still didn’t have a Sparrow after nearly 20 hours with the game, including playing through the majority of the campaign. You don’t get one in the story missions we’ve played, and so far, none of the vendors we’ve met sell them. Of course, this could change later in the game. Bungie’s developers told us that this is on purpose, that they didn’t want players to zoom past all the cool stuff in Destiny 2’s environment. But take it from us: It’s really not fun to have to run everywhere — especially if you’re playing with friends who happen to have had Sparrows drop for them. WHAT ARE THE NEW CLASSES AND SUBCLASSES? The classes available in Destiny aren’t changing for the sequel: Hunter, Titan and Warlock. Destiny 2 will offer three new subclasses: the Sentinel Titan, Dawnblade Warlock and Arcstrider Hunter. Those options are replacing some fan favorites from the original game: the Defender Titan, Sunsinger Warlock and Bladedancer Hunter. A total of three subclasses will be available for each class in Destiny 2. Players will start with the sequel’s new ones, and they’ll have to unlock the other two for each class. In addition to Destiny’s original subclasses — Striker Titan, Voidwalker Warlock and Gunslinger Hunter — players will be able to gain access to the three that debuted in The Taken King: Sunbreaker Titan, Stormcaller Warlock and Nightstalker Hunter. AWESOME! HOW DO I UNLOCK THE ADDITIONAL SUBCLASSES? It’s not clear yet what triggers this, but at seemingly random points, you’ll get a Titan, Warlock or Hunter “relic” as a loot drop, along with a notification letting you know that you’ve found “an object filled with lost power.” Receiving that subclass artifact will kick off a quest chain that leads to unlocking a subclass. HOW DO I UPGRADE MY SUBCLASSES? Destiny 2’s subclasses still have skill trees, but they’re laid out differently. Each one lets you choose between two class abilities, as well as two groups of common abilities: jumps and grenades. There are also two groups of four perks to choose from. When you rank up, you’ll receive a skill point, which can unlock a new node in a subclass’ skill tree. SIMPLE ENOUGH. HOW DOES MY CHARACTER’S LIGHT LEVEL WORK? I HEAR THAT WEAPONS ARE ORGANIZED DIFFERENTLY NOW. WHAT’S THE DEAL? Grenade launchers (a new weapon type) and rocket launchers will be restricted to the power slot. But you’ll also see firearms like shotguns and sniper rifles there. The guns that were traditionally primary weapons in Destiny can live in either of the first two slots, so you can carry around two “primary” guns like scout rifles. Kinetic weapons can’t do elemental damage, but they will be more powerful than energy weapons against unshielded enemies. And although all energy weapons will fare better against shielded foes than kinetic weapons, you’ll want to match an energy weapon’s elemental damage type to the shield if you can — not only will the weapon burn down the shield more quickly, but the shield will pop with an explosion that stuns the enemy in question and hurts other baddies in the vicinity. Yup! So far, we’re only aware of one weapon mod: the ability to change an energy weapon’s elemental damage type. Yes, you’ll be able to turn an arc damage weapon into one that does solar or void damage. In Destiny 2, the armor your Guardian is wearing is now tied to three important character statistics: mobility, recovery and resilience. These qualities were known in the original Destiny as agility, recovery and armor, respectively. They were determined primarily by your subclass layout, and they affected the cooldown timers on your super attack, grenade and melee attack. The cooldowns are now affected by armor mods for Destiny 2, and the game offers more granular control for the aforementioned stats, which can now go from zero to 10. Each piece of armor now has its own ratings for mobility, recovery and resilience, and the game will add up the values across all of your armor to figure out your Guardian’s abilities. In addition to character stats and ability cooldowns, armor mods can also affect weapon stats like reload speed and handling. OK, SO WHAT ARE THE GAME’S POWER AND LEVEL CAPS? Destiny 2’s level cap is 20 at launch. Bungie has not revealed the power cap, although recent leaks from Prima’s official strategy guide indicate that it is 300. WHAT ABOUT XP AFTER LEVEL 20? You’ll still earn XP beyond level 20. Every time you “rank up,” you’ll receive a bright engram. WHAT THE HECK IS A BRIGHT ENGRAM? A bright engram is a special high-level loot bauble that’s new to Destiny 2. (The first game’s engrams — white, green, blue, purple and yellow, in increasing order of rarity — are returning.) The normal cryptarchs can’t do anything with it; you have to bring it to Tess Everis, the representative for the Eververse Trading Company. In addition to earning bright engrams by ranking up beyond level 20, you’ll receive them when you rank up your faction rep with destination nonplayer characters and your allies at the Farm. You can also buy bright engrams with Silver, Destiny’s real-money currency. Note that your character must be at level 20 to earn and decrypt bright engrams. WHAT CAN YOU GET IN A BRIGHT ENGRAM? Bright engrams can contain a wide variety of special items: exotic sparrows and emotes, skins for exotic weapons, mods for weapons and armor pieces, Bright Dust and more. WHAT THE HECK IS BRIGHT DUST? Bright Dust is a currency that is obtained directly from bright engrams, or from dismantling certain items found within them. It can be used to buy items from Eververse. It is not possible to buy Bright Dust, either with real money or in-game currency. Your Bright Dust balance is shared between characters on your account. WHAT KINDS OF OTHER CURRENCY ARE THERE? Glimmer, the basic monetary unit of the Destiny universe, is back in Destiny 2 — and thankfully, there is no longer a cap of 25,000. (There may be a new, higher limit to the amount of Glimmer you can hold, but if there is, we don’t know what it is.) Silver, the in-game funds that you can buy with real money, is still the standard Eververse currency. In the endgame of Destiny 2, you’ll be dealing a lot with Legendary Shards. Obtained from dismantling legendary or exotic gear, Legendary Shards are used to buy gear from the mysterious vendor Xur. They’re also required in the infusion process for weapons and armor pieces. 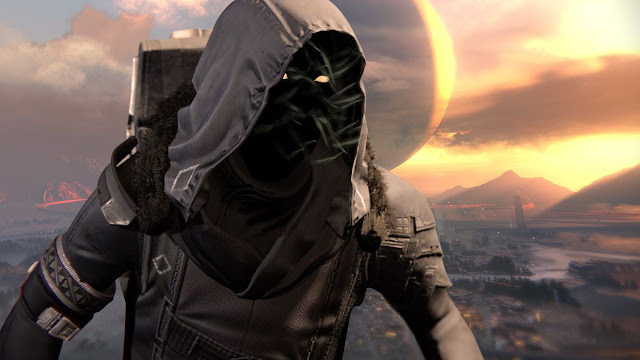 XUR, AGENT OF THE NINE, IS BACK?! Well, Bungie hasn’t confirmed Xur’s existence in Destiny 2 yet, but yes: He’s mentioned in the strategy guide that was leaked last week. But Xur, the mercurial weekend vendor from the original Destiny who sold exotic gear and other curios, no longer shows up in social spaces. Instead, he “randomly appears in a public sector in each of the four worlds, depending on planetary alignments and Bungie’s whim,” according to the guide. WHAT ARE THE SOCIAL SPACES IN DESTINY 2? So far, Bungie has showed off the Farm, the makeshift headquarters that humanity sets up after the Cabal Red Legion’s invasion of Earth destroys the Tower. The Farm is located on the outskirts of the European Dead Zone. Steve Cotton, world design lead at Bungie, told Polygon at the Destiny 2 gameplay reveal event in May that there’s only one social area in the game. However, that appears to have been a white lie on Bungie’s part to keep a story development concealed — the leaked strategy guide mentions the Tower as a social space, which suggests that it will be unlocked near or after the end of the campaign. WHICH CHARACTERS WILL YOU RUN INTO IN THESE AREAS? The Farm is led by Suraya Hawthorne, who used to be a wanderer in the perilous lands beyond the Last City’s walls and now serves as a liaison between humanity and the Vanguard. Partway through the campaign, you’ll also unlock the three class Vanguards at the Farm: Cayde-6, Ikora Rey and Commander Zavala. Each of the four destinations has its own nonplayer character as a vendor: Devrim Kayon Earth, Sloane on Titan, Failsafe on Nessus and Asher Mir on Io. You’ll go to them to turn in the destination tokens that you earn while doing open-world activities. HOW DO THESE CHARACTERS HELP YOU? Your allies provide you with new activities and missions to do, and reward you with bright engrams when you complete enough of those exercises to rank up your reputation. Of course, they also sell weapons, armor and more. You’ll work with Cayde-6 on new Patrol missions, do Meditations (repeat story missions) for Ikora, and complete strikes and challenges for Zavala. Challenges essentially replace the bounties from Destiny. The dialogue from these characters in cutscenes and missions also provides plenty of backstory on Destiny’s universe. LET’S GET AWAY FROM THE STORY. WHAT ABOUT THE STRIKES? *This strike is exclusive to the PS4 version of Destiny 2 until at least fall 2018. 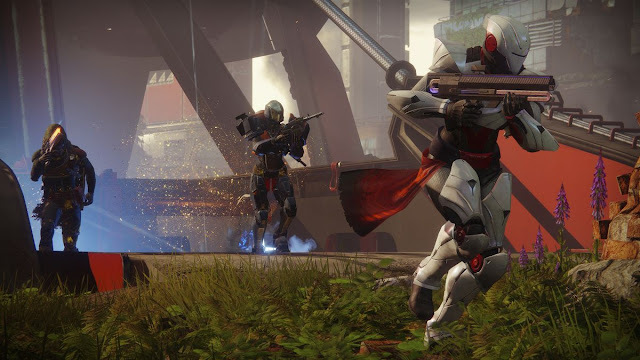 Bungie decided to reduce the player count for competitive multiplayer matches from Destiny to Destiny 2. The limit was 12 players in the original game; in the sequel, all PvP matches — across all gametypes — are four-on-four affairs. HOW MANY CRUCIBLE MAPS ARE THERE? WHAT ARE THE AVAILABLE CRUCIBLE MODES? Control: Teams fight for control of three capture points. Countdown: Defenders must try to kill their opponents before the attackers can set either of two charges — and must defuse a charge if it has been set. The first team to win six rounds takes the match. Supremacy: Team deathmatch with a twist. Fallen Guardians drop crests that must be collected to win. Survival: Elimination-style team deathmatch. Each team starts with a shared pool of eight lives, and when those lives are used up, the Guardians can’t respawn. Bungie has confirmed that both of Destiny’s limited-time Crucible events — Iron Banner and Trials of Osiris — will return for Destiny 2. Trials of Osiris will once again run only on weekends; the first one will begin at 1 p.m. ET on Friday, Sept. 15. THE ONLY THING THAT MATTERS IS THE RAID. WHEN CAN I PLAY IT? Bungie always keeps raid details close to the vest, but that’s particularly true for Destiny 2’s raid. Unlike with the original game’s raids, the studio won’t tease this one with a trailer. We don’t know what it’s called, where it takes place, who we’ll be fighting, or the recommended power level. We only know when it will go live: 1 p.m. ET on Wednesday, Sept. 13 — just over one week after Destiny 2 itself launches. WILL THERE BE MATCHMAKING NOW? No, Bungie isn’t changing its stance on matchmaking for high-level Destiny activities like raids and Nightfall strikes. 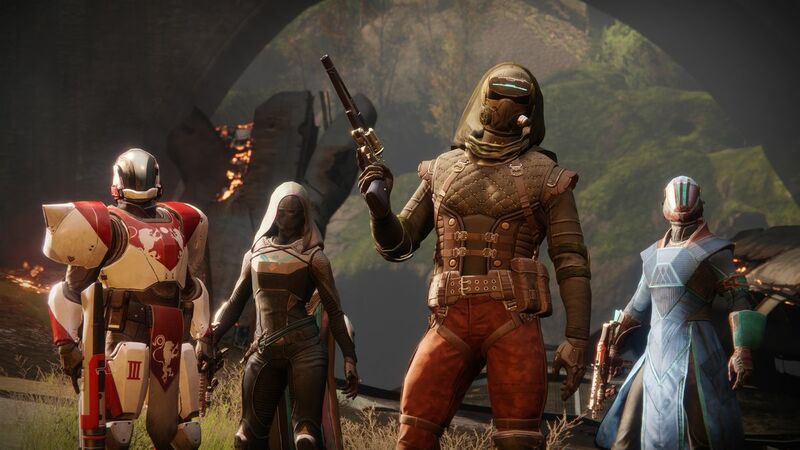 Destiny 2 won’t automatically group you with other players for those tasks, because Bungie believes that they’re challenging enough to be frustrating if you’re playing with random people. 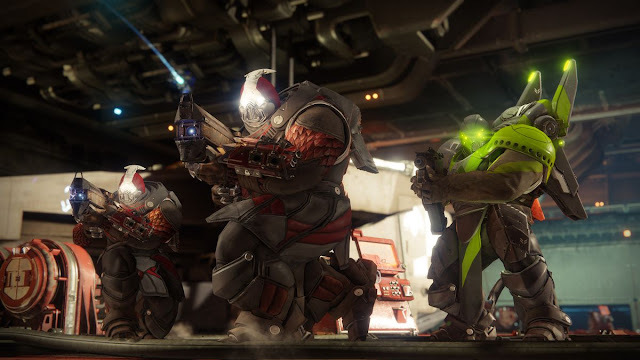 Instead, Destiny 2 offers fully integrated support for clans, which should make it easier to find a raid-ready team — at least for people in clans. Bungie is also introducing a related feature it’s calling Guided Games. Using this setup, solo players will be able to browse through clans to find a group that is looking for an extra person (and is willing to show them the ropes in a friendly manner). HOW DOES PLAYING WITH FRIENDS WORK? Pretty much everything in Destiny is best enjoyed with other people. You’ll be able to play through Destiny 2’s campaign in a fireteam of up to three Guardians, just like in the original game. However, co-op play doesn’t unlock until after you finish the game’s third mission, “Spark.” (There are story reasons for this, but we’ll leave the spoilers out of it here.) The Crucible also becomes available at that point, allowing you to partake in competitive multiplayer matches. IS THERE A WEEKLY RESET? WHEN IS IT? The daily reset time will change depending on whether daylight saving time is active. From March to November — during daylight saving time — the reset will occur at 2 a.m. PDT. From November to March, while daylight saving is not in effect, the reset will occur at 1 a.m. PST. The weekly reset will occur at those times every Tuesday.